It is not a secret that the mining industry is extremely conservative, and it has always been difficult to bring miners to experiment. But the 21st century dictates its terms and, to stay afloat, traditional businesses need radical changes. A few years ago, world mining leaders launched a large-scale process of updating their own fleets of equipment. Acumen Research and Consulting (ARC) estimates that the global mining equipment market will reach US$285.5 billion worldwide by 2026. At the same time, the main drivers of the growth will be automated technologies and so-called ‘smart' solutions for the production. The most advanced miners already perform a number of processes, such as drilling and transportation of raw materials, with the use of robotics. And in 2019, many more players are expected to start using new technologies on an industrial scale. Analysts at market research firm Technavio predict that the robotics market in the mining industry will grow by an average of 27.01% by 2022. On December 28, 2018, Rio Tinto, which was one of the first companies to build its own ‘mine of the future', announced the full deployment of AutoHaul, the world's first autonomous long-distance railway network for the transportation of iron ore to ports in the Pilbara Region of Western Australia. The company's ten years of work creating the robotic railway should lead to an increase in ore production at its Pilbara operations from 340Mt/y to 360Mt/y. At the same time, Swedish technology companies including Ericsson, Scania, Eprioc and SKF, are joining forces in the Swedish Mining Automation Group (SMAG) to promote their own products and technologies for mining companies. Sweden is hoping to boost its profile as a mining destination, and SMAG has formed a cooperation with Canadian companies that hope in the short term to upgrade their own production and to start using innovative technologies. In 2019, manufacturers of industrial robotics will increasingly resort to international cooperation to expand the market and introduce new technological solutions in mining. Leading players in the robotics market should also be ready for increased competition and the emergence of new companies that have not previously worked in the mining sector. A few years ago, there was practically no alternative in the unmanned truck market; companies such as Caterpillar and Komatsu fully met the needs of miners in autonomous transport. However, in 2018, Swedish automotive company Volvo signed an agreement with the Norwegian mining company Brønnøy Kalk, according to which Volvo unmanned trucks will carry limestone on a three-mile route between the mine and its closest port. The system is expected to be fully operational in 2019. In Morocco, a Terex mining truck with robotic control developed by the Russian company VIST Robotics (part of Zyfra Group) has successfully completed trials at a special test site. 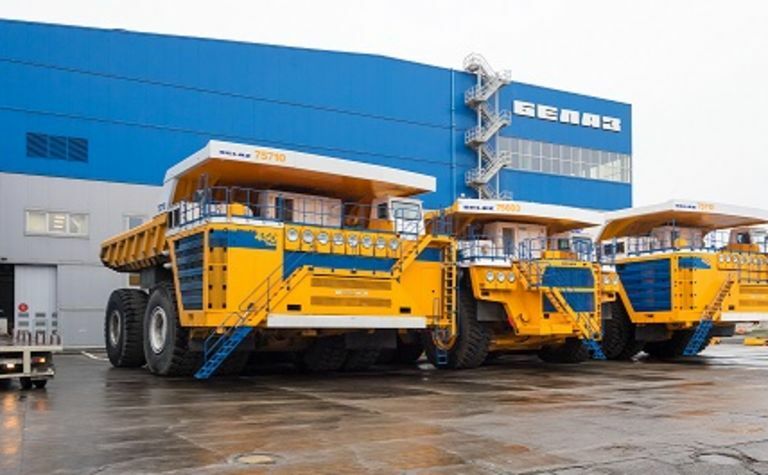 In Russia, autonomous trucks from BelAZ are already used in the quarry of the Siberian coal and energy company in Khakassia. At the moment, the first robot dump truck has been assembled and successfully passed along the route of the quarry in an offline mode. The process of assembling and equipping the second dump truck is underway, as well as building the infrastructure necessary for the operation of autonomous machines. 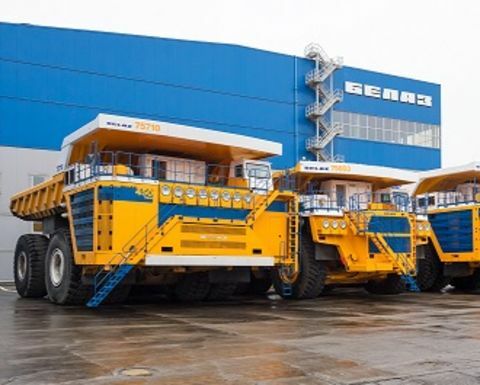 In Kazakhstan, VIST Robotics together with the Nazarbayev University has begun work on the ‘truck tractor' which is based on the KAMAZ NEO truck. In addition to unmanned trucks, the company is testing a robotic drilling system. This is designed to replace a person in particularly dangerous production conditions, while the cost of drilling wells will remain at the same level or even decrease. The company expects to see the first test results in the June quarter of 2019. The expansion of the use of robotic and automated technologies in the mining industry is made possible by reducing the cost of innovative products. According to a McKinsey report, over the past 30 years, the average price of a robot has fallen by half in real terms, and even more in relation to labour costs. Analysts believe that demand from emerging economies also encourages robot manufacturers to switch to cheaper production, and robotics will continue to fall in price. Mines, which will use only robots, are no longer a fantasy. 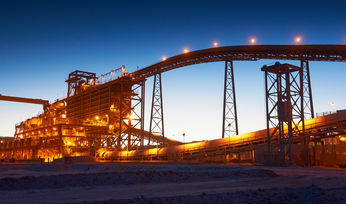 In 2018, Resolute Mining announced that its Syama gold mine in Mali would be fully autonomous. A fibre-optic network has been created throughout the mine, ensuring constant contact of autonomous tractors, robot drillers and ground-based control centres. 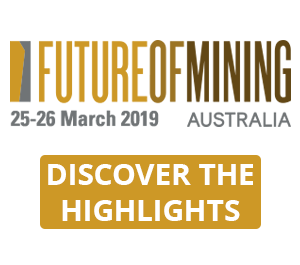 In a recent report, consulting company BDO Australia said that by 2020, more than 50% of miners around the world will be replaced by robots. Such forecasts sound very encouraging for manufacturers of industrial robotics and, at the same time, impose a great responsibility on the companies that will need to develop more advanced technical solutions to fully replace people. Manufacturers of robotic equipment also have to pay special attention to the protection of devices after massive virus attacks on industrial facilities in 2018. 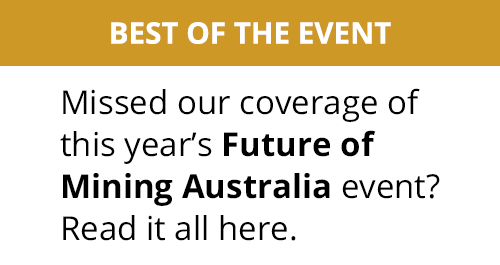 BDO Australia analysts believe that by 2020, activist hackers will launch at least five global cyberattacks with permanent denial of service (PDO) at mines through connected devices. Not less, and perhaps a more significant obstacle to the final transition to the use of robotics in mining, is still the problem of employment of workers whose work is being performed by the machine. Governments cannot allow unemployment to rise, even though the costs of production have been reduced. There is a difficult situation, as the contradictions between effective business and social responsibility in the coming year will only grow. Only a joint effort of states, mining companies and manufacturers of robotics will help to find a way that will suit all players in the industry.